It is our aim to make the nous stand alone, stripped through the virtues of its affection for the body; for this affection, even when totally dispassionate, is still natural. The spirit, completely triumphing over nature, has to persuade the nous to desist from moral philosophy in order to commune with the supra-essential Logos through direct and undivided contemplation, in spite of the fact that moral philosophy helps the nous to cut itself off from, and to go beyond, things pertaining to the flux of time. For when the nous has become free from its attachment to sensible objects, it should not be burdened any longer with preoccupations about morality as with a shaggy cloak. Elijah clearly reveals this mystery in a typological manner through his actions (cf. 2 Kgs. 2:11-14). For when he was borne aloft he gave Elisha his cloak, that is, the mortification of the flesh which constitutes the chief glory of moral conduct. He did this so that Elisha should have the support of the Spirit in his battle against hostile powers and should triumph over the flux and instability of nature, typified by the Jordan; so that, in other words, he would not be immersed in the turbidity and slime of material attachment and thus prevented from crossing over into the holy land. Meanwhile, Elijah himself advanced freely towards God, unencumbered by attachment to any created thing. 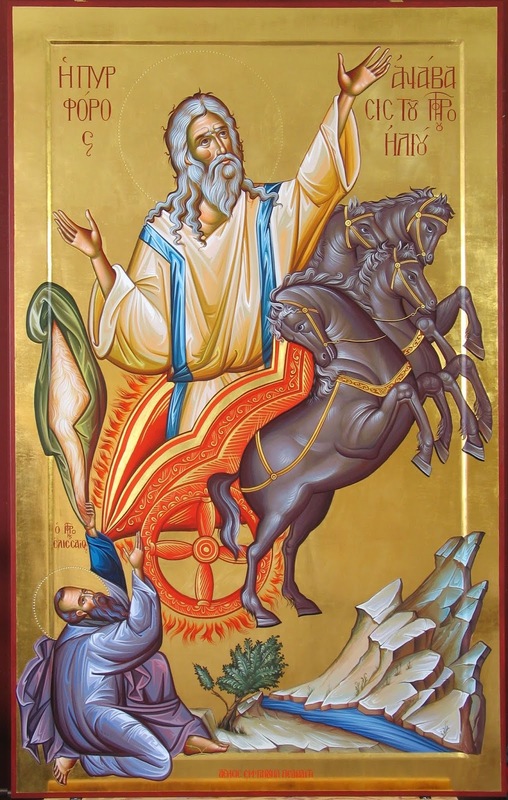 His desire being undivided and his will unmixed, he made his dwelling with Him who is simple by nature, carried there by the interdependent cardinal virtues, harnessed spiritually to one another like horses of fire. Elijah knew that in the disciple of Christ there must be no imbalance of dispositions, for such diversity is proof of a lack of inward unity. Thus the passion of desire produces a diffusion of blood around the heart, and the incensive power when roused causes the blood to boil. He who already lives and moves and has his being in Christ (cf. Acts 17:28) has annulled in himself the production of what is imbalanced and disunited: as I have said, he does not bear within him, like male and female, the opposing dispositions of such passions. In this way, the nous is not enslaved by the passions and made subject to their fickleness. Naturally endowed with the holiness of the divine image, the nous urges the soul to conform itself by its own free choice to the divine likeness, in this way the soul is able to participate in the great kingdom that exists in a substantive manner in God, the Father of all, and to become a translucent abode of the Holy Spirit, receiving - if it may be expressed in this way - the whole authority of the knowledge of the divine nature in so far as this is possible. 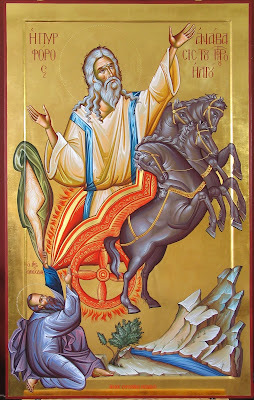 Where this authority prevails, the production of what is inferior automatically comes to an end and only what is superior is generated; for the soul that through the grace of its calling resembles God keeps inviolate within itself the substance of the blessings bestowed upon it. In souls such as this Christ always desires to be born in a mystical way, becoming incarnate in those who attain salvation, and making the soul that gives birth to Him a Virgin Mother; for such a soul, to put it briefly, is not conditioned by categories like those of male and female that typify a nature subject to generation and corruption.